Put parsley leaves in a food processor. Cover the blades with water and chop the leaves. Strain them to remove the water. Put them back in the food processor and add the cloves and the slice of bread. Chop them. Strain off most of the water and return them to the food processor. Add freshly shredded ginger and cinnamon. Grind this in the food processor. If desired add sugar. 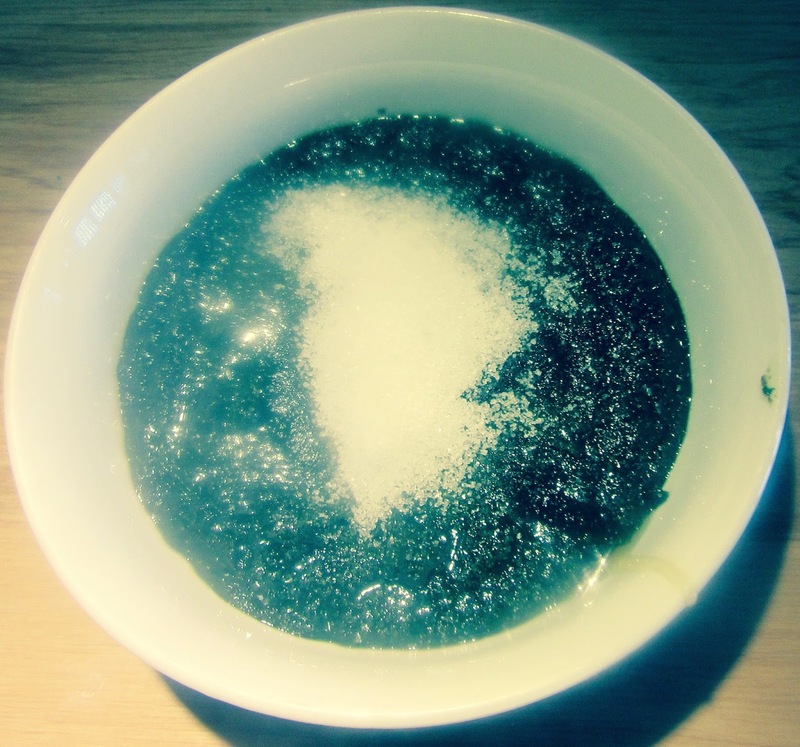 Pour this into a pot and heat it until the sugar dissolves. Stir non-stop in one direction. 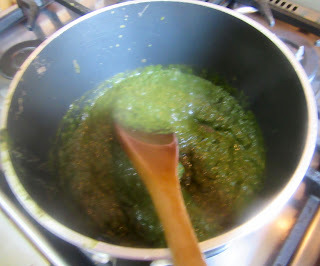 Take care that the sauce does not boil because the parsley will loose its green color and turn brown if this happens. Garnish with sugar or honey. Serve as a sauce for meat, chicken or vegetables. It is very bitter without sugar.